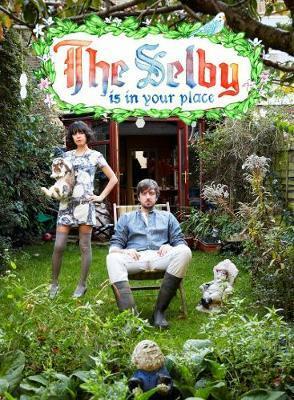 "The Selby Is in Your Place" was conceived when Todd Selby began taking portraits of dynamic and creative people - authors, musicians, artists, designers and other cultural tastemakers - in their home environments and posting them on his blog. Nosy by nature, he was interested in seeing how someone's personal style is reflected in their private spaces. Lucky for us, he found his answer in the colour-rich, eclectic and varied spaces he visited while photographing a diverse group of subjects in New York, Los Angeles, Paris, Tokyo, Sydney and London. Some of his subjects are famous and some are not. Some are rich, others aren't. Some are photographed in their apartments or houses, while others are shown in their studios or offices. What they have in common are unique spaces bursting with energy and personality that together create a colourful hodgepodge of inspirational interiors. Each profile is accompanied by Selby's watercolour portraits of the subjects and their illustrated questionnaires, which reveal their answers to questions about homes, possessions and personal style. This book consists of over thirty profiles: half of which are favourites from his web site, the other half are never-before-seen shoots selected exclusively for the book. Todd Selby is an interiors, fashion and portrait photographer and painter. His work has been featured in publications such as British Vogue, Nylon, New York Magazine and the London Sunday Times and his "Edible Selby" column is a regular feature in The New York Times Style Magazine. He is the author of The Selby Is in Your Place (Abrams 2010). Sally Singer is the editor of The New York Times Style Magazine and has previously served as the fashion news and features director at Vogue and the fashion director at New York magazine. Chad Robertson is co owner and baker at Tartine Bakery in San Francisco and a 2008 James Beard Award winner.